(Pak Destiny) Here is a story of some Lahore University of Management and Sciences (LUMs) that has potential to inspire many. Huzaifa Ahmad shared his desire to channelize excess food to the underprivileged who cannot afford daily meals. Huzaifa’s friends – Musa Amir and Qasim Javed – decided to build a bridge between surplus food at restaurants, weddings, and households (usually thrown away) and families living in slums of Lahore back in 2015. Ufone has come forward and extended its support to this noble cause. It has purchased media space on broadcast and digital media throughout Ramadan, to be used to promote “Rizq, free of cost”. 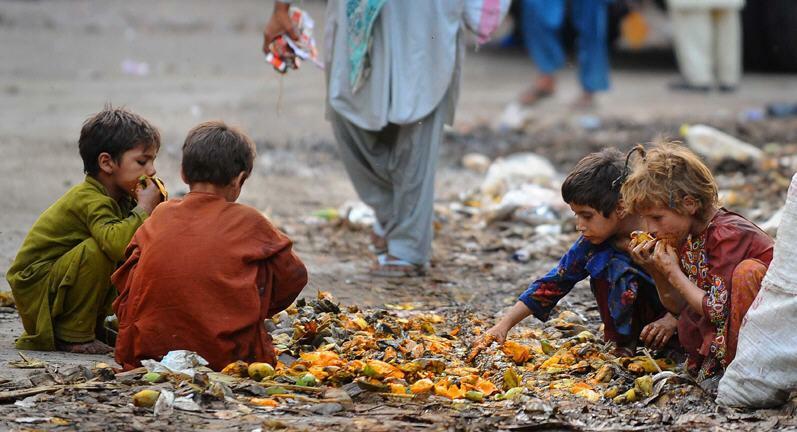 Rizq has two primary objectives – decrease food wastage that is rampant in our society and to feed under nourished people particularly children. Step one: The Rizq team identifies an area within Lahore, usually slums and villages, and maps the community. Next, food drives are advertised on Rizq’s official Facebook page and website encouraging people to contact them if they have any extra or leftover food items from parties or otherwise to donate. When created, Rizq’s Facebook page generated 5,000 likes overnight. Step Two: food is collected from partner restaurants, bakeries, caterers and households. The food usually comes in large containers, which are then taken to a store where it is checked for quality, and sorted into small packages for easy distribution. Lastly, food packages are distributed to mapped communities. Ufone highlighted the partnership at an event held on Wednesday, 7th June 2017 at the Pearl Continental Hotel in Lahore. Attendees included bloggers, and representatives from local print, electronic and digital media. On average, Rizq serves 200 to 250 meals every day, and the team aims to bring this up to 2000 meals per day. During Ramazan, Rizq targets arranging 2-3 Iftar dastarkhwans on different locations each day to make food available for deserving people. In order to expand their operations, Rizq needs Rs 1.5 million to buy a cold storage van and a cold storage facility to manage larger quantities of food. The team has been managing with fridges till now, which restricts them to sell/distribute food immediately. This is the first time in Pakistan a food bank has been established to channelize excess food and the project has the potential to reduce poverty and transform people’s lives. Ensuring meal availability means the families can now utilize their money for other facilities like sending children to school, or buying medicines.